Is there a better alternative to Placeholder Wizard? Is Placeholder Wizard really the best app in Developer Tools category? 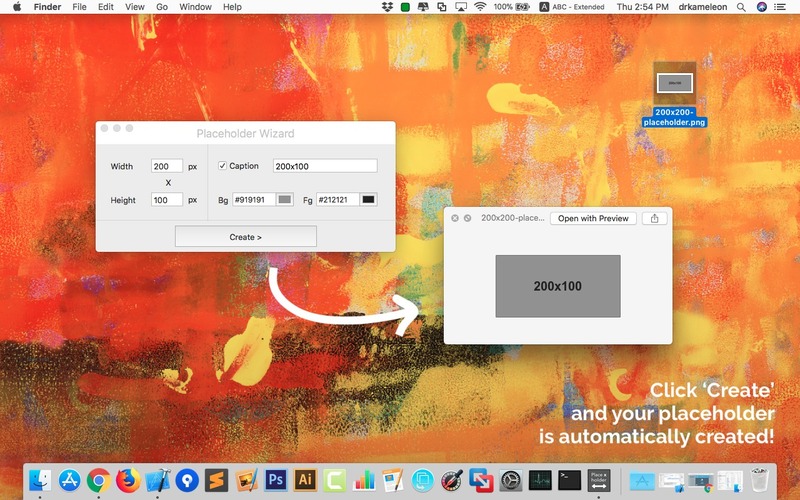 Will Placeholder Wizard work good on macOS 10.13.4? 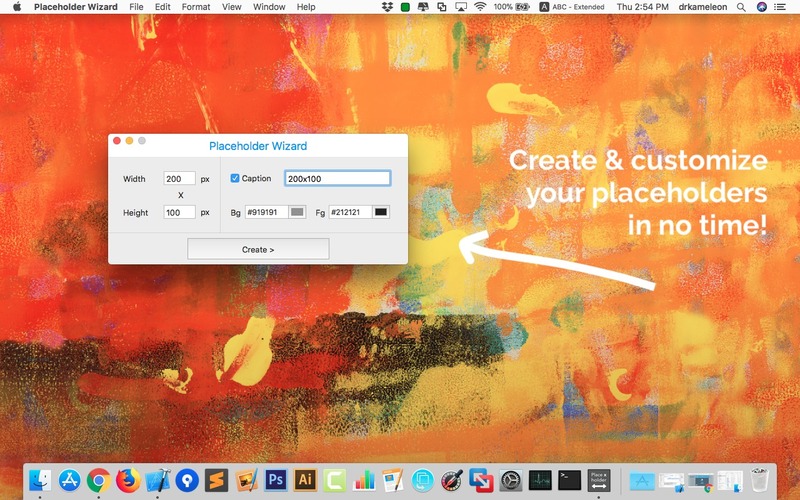 Placeholder Wizard is a placeholder/banner creator for your Mac! It's super-easy to use and has an intuitive interface. Just set the details (dimensions, colors) and caption, and generate the resulting PNG file with a single click -- no muss no fuss! Are you a designer? Are you developing a website and want to attract attention? Want to sell some ad space on your website but are tired of having to manually create every single placeholder yourself? Want to stop wasting time? Then Placeholder Wizard is for you! Placeholder Wizard needs a review. Be the first to review this app and get the discussion started! Placeholder Wizard needs a rating. Be the first to rate this app and get the discussion started!